REV. DR. LOUIS ANTHONY COSENTINO COLUMBIANA - Rev. 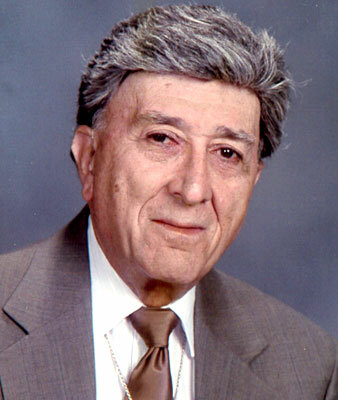 Dr. Louis Anthony Cosentino, 92, passed away with his loving family present on Saturday, May 21, 2016, at St. Elizabeth Health Center, from complications following a fall. Dr. Cosentino was born in Youngstown on Jan. 27, 1924, a son of the late Frank and Nancy Balsamo Cosentino. He graduated from Boardman High School and then attended Youngstown State University for his premedical studies. He then graduated from The Ohio College of Podiatric Medicine in 1946. Dr. Cosentino started his podiatry practice in Lisbon in February of 1947 and in Columbiana, in February of 1948. He retired after 40 years in practice on July 1, 1986. He was one of the founders of the Youngstown Foot Clinic which is now part of the ValleyCare Health System’s Podiatry Residency Program. He was a member of the Mahoning Valley Podiatry Society, of which he was president in 1952 and 1953, the Ohio Podiatric Medical Association and the American Podiatric Medical Association, of which he was a life member. He was also a member of the Academy of Ambulatory Foot Surgery. In 1955, Dr. Cosentino was instrumental in organizing the Knights of Columbus Council 4049 of Lisbon, of which he was financial secretary. In May of 1958, he formed the Columbiana Council of Catholic Men, of which he became the first president. This group was the forerunner of the St. Jude Men’s Club of St. Jude Church. It was later incorporated into the St. Jude Knights of Columbus No. 10813. In 1960, under his leadership, St. Patrick’s Mission was started in Columbiana. The first Mass was said on Nov. 6, 1960. This was the forerunner of the St. Jude Catholic Parish, which was formed on March 4, 1966. Dr. Cosentino was elected to the very first parish council of St. Jude Church and continued to be on this board until just recently. He also served on the first Diocesan Council of Catholic Men as a member of the board of directors from 1966 to 1969. This was the forerunner of the Diocesan Pastoral Council. He served on the board of Family and Community Service of Catholic Charities and on the board of Potters Medical Center for many years. Dr. Cosentino served on the American Cancer Society board beginning in 1987 and served as the Columbiana County unit president in 1992 and 1993. He was a member of the Columbiana Ministerial Association and served as its treasurer for 17 years until July of 2005. He was also a charter member of the Columbiana Lions Club and was one of the original board members of the United Social Action and served as treasurer for 28 years. On Dec. 26, 1986, Dr. Cosentino was ordained a permanent deacon in the Diocese of Youngstown. His ministry has been at St. Jude Church in Pastoral Care until just recently. He was a member of the St. Jude Men’s Club and St. Jude Knights of Columbus Council of which he was assistant chaplain. He also served on the Diocese Pastoral Council from 1987 to 1993. He was a member of R.S.V.P. since 1988, volunteering as a Pastoral Care minister at Salem Community Hospital, Essex Nursing Homes of Salem, Parkside Health Care Center, and St. Mary’s Alzheimer’s Center in Columbiana. Dr. Cosentino also served for many years as a deacon at St. Maximilian Kolbe Church in Port Charlotte, Fla. in the winter months, volunteering in the same capacity. “On Sept. 8, 2000, he was honored by our Holy Father, Pope John Paul II, by receiving the Pro Ecclesia et Pontifice Award in recognition for his years of dedicated service to the Catholic faith.” Dr. Cosentino married, the former, Anita M. Marinelli on Sept. 2, 1950. They had three children, Linda M. (Randolph) Davis of Columbiana, Laura Ann (James) Kattenbraker of Wildwood, Mo. and Dr. Louis Mark (Melinda) Cosentino of Bolton, Mass. They also had six grandchildren, Stephen Smith, Timothy (Michelle) Smith, Angela (Joseph) Ridder, Michael (Lindsay) McLaughlin, Olivia Cosentino and Alexis Cosentino. They also had six great-grandchildren, Kaden and Benjamin Smith, Benjamin and Jacob Ridder, and Millie and Murphy McLaughlin. He was preceded in death by his beloved wife of 62 years, Anita on Jan. 22, 2013. A brother, Dr. S. F. Cosentino and a sister, Augustine Manthey also preceded him in death. The family will receive friends on Wednesday, May 25, 2016, from 4 to 8 p.m., with a Rosary service at 8 p.m. at the Warrick-Kummer-Rettig Funeral Home in Columbiana. A Mass of Christian Burial will be held on Thursday, May 26, 2016, at 10:30 a.m. at St. Jude Catholic Church in Columbiana, with Father Thomas Ziegler and Father Christopher Cicero officiating. Entombment will be at Green Haven Memorial Gardens in Canfield. Please share your memories of Louis.